I am a long time fan of fellow canuck Ryan North's Dinosaur Comics. So when CBC announced they were having a make-your-own-Dinosaur-Comics-comic contest ahead of TCAF, I knew I had to give it a shot. The winners will be picked randomly, but meeeeeeh! Stumbled here from wondering why my server would block head requests (2009 post). 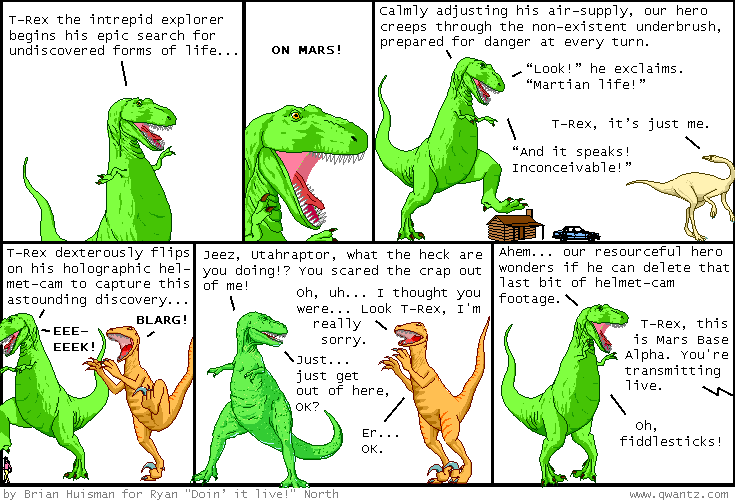 Of course one has to click any link referencing Dinosaur Comics, Nicely done .